"Dig It! have been fantastic...!" "I am delighted with the garden, it looks beautiful!" "Early Years, Key Stage 1 and Canopied Areas"
"As a new Headteacher I had not worked with Digit in the past but knew they had carried out work in my school previous to my appointment. I invited Richard into school to discuss some plans I had for an enclosed area in the school, which I wished to develop into an outdoor learning space. Richard arrived at school throughly prepared and listened carefully to the needs of the school and my ideas to develop this area. He completed several quotes for me as I changed my mind several times to match the budget I had. The work began during the October half term. The work was scheduled to take all week but it was completed in 4 days. A complete transformation of a desolate, underused area! To say that the team were vigilant, tidy and efficient is an understatment. Digit covered all of the areas, within the school, to minimise mess and damage. Digit constantly adhered to safety regulations during the week. Digit are helpful, efficient team who have the vision and patience to match the needs of any school. Their work is exemplary, creating havens of outdoor learning areas, which inspire and enhance learning." "Obtaining Big Lottery Funding for our Play & Learn Zone was made incredibly easy with the help from Dig It Projects who provided a detailed quotation with a drawing layout and reference pictures to assist us with the process. With their expert advice and knowledge in providing a bespoke package to develop our �Outdoor play and Learn Areas� at our Academy the whole process was made simple from start to finish. Once the funding had been agreed, Dig It Projects completed the work swiftly and to a high standard with good quality materials. The staff were very diligent about making sure that we had everything in the right place so that the area would be a fantastic resource for years to come. We would definitely recommend them for similar projects. St. Clements C of E Academy. "Work looks brilliant I�m so pleased we found you - thank you so much, you�ve all worked so hard to complete this project." "Grow N Learn Garden at Grangetown Fire Station"
all the difference when you are so pleasant to work with. "Very Good Service wouldn't change anything"
"On behalf of the Head Teacher and all the children of Kirklevington Primary School a great big Thank You!" "Outdoor Play Area at Redcar Children's Centre - 30th March 2011"
"Grangetown Children's Centre Outdoor Learning Environment - 29th March 2011"
""The day we launched our Gardening Club was a very memorable experience for us all. It poured down for the whole afternoon. We were all soaking wet, but all 18 children and 5 adults, including Jane from Digit Projects, had a fantastic time and not one moan escaped from anyone�s lips during the whole hour of our first Gardening club. We planted garlic, radish, broccoli, leeks and onions for the spring. What a fabulous first day!" "Letter 18th October 2010 from Martin Hogarth, Science Technician, Ryehills School in Redcar"
"Testimonial from Chris Twiby Head of Crooksbarn Primary, Norton on 5th November 2010." I visited St. Marks on Monday and was very impressed with the garden you've built and equally pleased that the school are very happy with it. Thanks for all you've been doing at Rye Hills, the shed is excellent, really sturdy and the shelf will be great for seedlings etc.The water butts are a good solid job as well, once we get a good downpour and they fill up it will make life much easier. The crops are coming along really well and hopefully we'll come back to some decent produce to harvest, the turnips, brussels sprouts, cabbages, onions and sweetcorn should all be ready end of August. Thanks for the maintenance as well, hope to see you in the new term. "21st July 2010. Letter of Testimonial from Deputy Head Teacher, Martin Scully - Ingelby Mill Primary School." Martin Scully - Deputy head. Thank you for recently asking me to become involved with the Dig It Schools Drawing Competition. Choosing a winner and runner up was very difficult as there were a lot of high quality entries � well done to Abbey and Marcus, I hope your schools are getting good use from the prizes you won. I would also like to take the opportunity to congratulate Dig It on the good work they are doing, bringing local schools and communities together and encouraging a healthy lifestyle in a fun environment. I wish your venture further success in the future, I�m sure as more organisations get involved it can only get bigger and better. If you would like me to help out with anything in future, I would be pleased to do so. George Dunning - Redcar & Cleveland Council Leader. "Written Testimonial from e2e (education 2 employment) organisation at the Langridge Centre, Berwick Hills, Middlesbrough." I would like to thank you on behalf of everyone at Myton Park Primay school for the work you have just completed at our school. Our 3 raised vegetable beds that were constructed and installed by your team are lovely and we can't wait to put them to good use. Your knowledge and enthusiasm shown around the project was second to none, offering help and advice at every point. Not only are our classes to benefit, but we are hoping to establish a gardening club involving children and parents/carers working together. "A written Endorsement from Dr Ashok Kumar MP"
"Cards etc were given to "DIG IT Projects" after the was work completed - 29th December 2008." On behalf of myself and the staff, pupils and parents of New Marske Primary School thank you for the exellent work that you've done in school. When you first contacted me to say that you had some funding from the Local Authority to develop a garden area in the school I was a little sceptical. An increasing amount of my time is spent trying to procure funding for various enterprises in school. To be approached by someone offering support and funding is rare. The bespoke compost bins and fence that you constructed and installed in the new garden area are perfect. We will be starting a gardening club in the Autumn Term. Pupils,staff and parents will be able to use the garden. The garden area will support the work of the school ECO team who are currently working towards achieving Green Flag status. I was very impressed with how quickly and efficiently you completed the work. I am used to contractors working past deadlines and leaving jobs unfinished to complete work elsewhere. I have several new projects in mind for the new academic year. I will contact you when i have finalised all of the details. I will recommend you to colleagues and schools in Redcar and cleveland without hesitation. "At my first meeting with Richard I was impressed with his knowledge and creative ideas. He had many suggestions that would help us turn our dream of a garden into reality. Richard was extremely professional in his approach from the initial planning stages to the completion of the garden. A range of plans were drawn up. We liked different ideas from each one so Richard adapted the designs to suit our requirements. The final plan and our quote arrived promptly with an offer to help access funding sources if needed. The work was carried out within the timescale set, in some very poor weather conditions and also whilst the children were at school. Richard consulted us throughout to clarify our requirements and was flexible when we asked for minor changes. Our school grounds were left clean and tidy after the work was completed. The children are delighted with their new garden. We can�t wait for the weather to improve so that we can begin to use the chess board. We also received some waterproof clothing and website access; both will prove really useful. 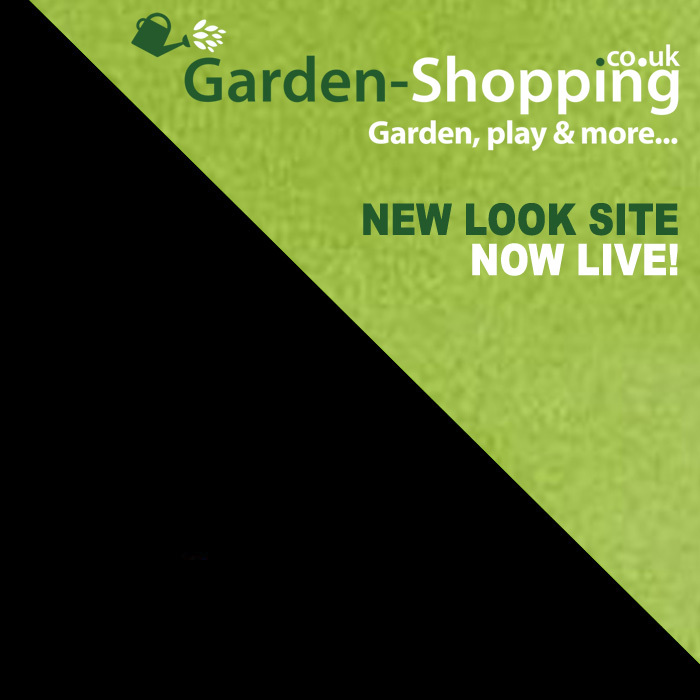 I can recommend Grange Home and Gardens without hesitation." "Richard Smith from Grange Homes and Gardens built an Enterprise Garden for LEGI at Redcar Community College during the summer of 08. I found his work to be of the highest standard. His hard work ensured that the project was brought in on time and on budget. I can commend him very highly"